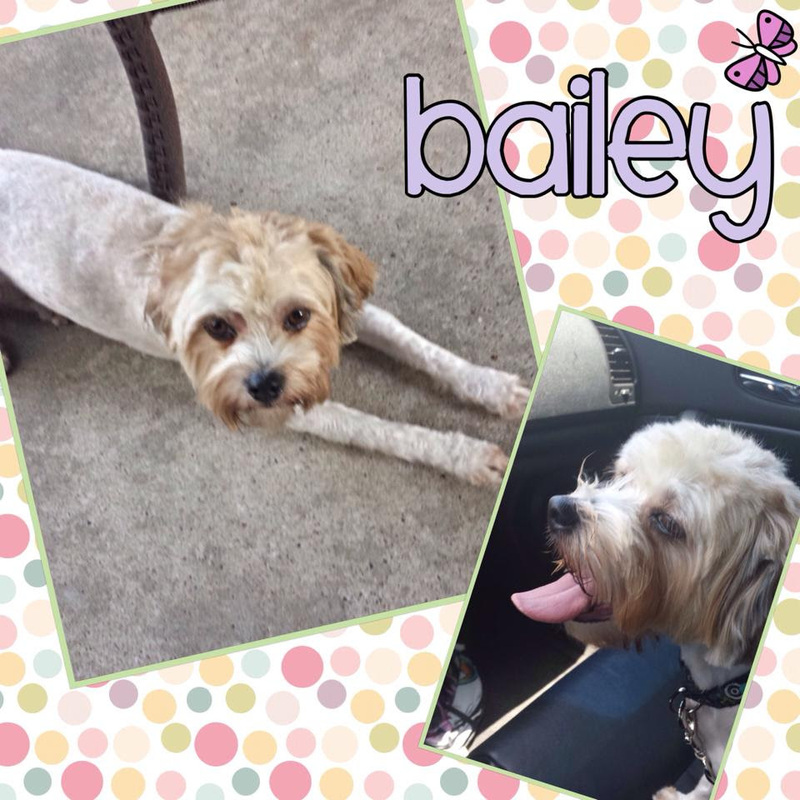 Irene has moved to Texas city and is now calling herself Bailey. She is enjoying the big back yard and likes to sun and roll in the grass. She likes sleeping in the bed with her parents and went to the beauty shop on Friday for a hairdoo, she loved going and playing with the other dogs. Her new hairdo looks great and she is now acting like a diva prancing around. She spends lots of time with her mom and visits her grandpa, too. She ends her days watching TV cuddled with her dad in his recliner. She is a great dog. 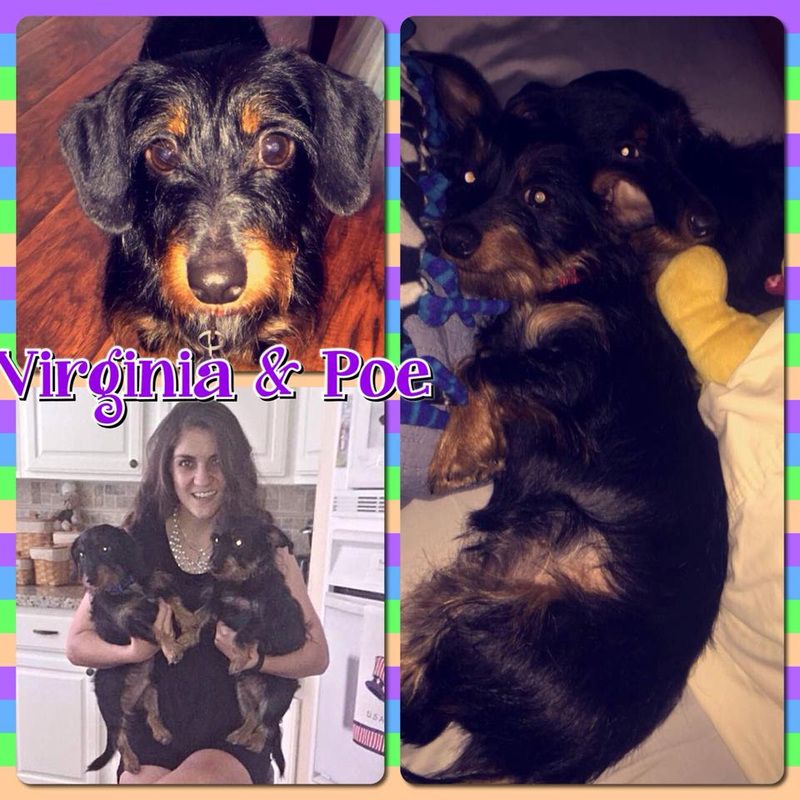 A month ago my family and I would make one of our best decisions in adopting Virginia and Poe. In the earlier year, our younger westie, Pez, (age 9) would pass away unexpectedly and his older sister, Tiffany, (age 15) passed away a couple months later of depression from losing her best friend and old age. For the next few months there was a hole in our home and a constant waiting to hear a pitter patter on the floor that had vanished. Then we ran across Poe and Virginia. Upon visiting them at the shelter my mom still didn’t want to adopt them due to still being upset about our first pair, but soon she fell in love with them and when people asked if they had been adopted she gave a quick “YES THEY’RE BEING ADOPTED RIGHT NOW” to fend potential owners off. Of course we thought it would be best to adopt them when my father was out of town on business trip, so these two treats were definitely a surprise. When he did finally get home he was surprised and claimed he was upset, but whenever the dogs would be near me or my mother he would walkover, pick them up, and start to love on them and talk to them like they were humans. They have been enjoying life at our home and are always loving on each other or doing something hilarious to us. Virginia is definitely the dictator of them two and the leader while Poe carelessly follows her around. Virginia always make sure Poe knows his place… the other day ago Poe was sitting, gazing underneath our large tree in the backyard, Virginia then sprinted full speed around our landscape and started to go towards Poe who was still sitting calm underneath the tree. Virginia then slammed into Poe (who fell over immediately and you could hear the wind get knocked out of him from inside the house) and Virginia thus climbed over him to get to the other side of the yard while Poe was still down. They are quite the duo to say the least…We thank you all at K-9 Angels Rescue for giving love back into our home and are so thankful for these two. I hope that people continually give these loving dogs a forever home and could not be more grateful. Would You Break Into Someone’s Car to Save a Dog? Every year thousands of dogs fall victim to extreme temperatures when left in a car by their owners, and many of these poor dogs die of heatstroke. Despite numerous animal welfare campaigns, irresponsible owners still lock their dogs in hot cars, endangering their lives. If you saw a dog in a hot car, would you break the window to save its life? Research has shown that in just 10 minutes, the inside temperature of a car can soar to 160 degrees or more on a 90 degree day, and up to 140 degrees even on a milder 72 degree day, temperatures that no animal should have to endure. Dogs are not well equipped to cope with this type of extreme heat, and can die in less than 15 minutes. What Does the Law Say About Dogs Trapped in Hot Cars? Across the U.S., there are numerous different laws and bylaws concerning the issue of leaving animals in vehicles, with some states providing legal protection for the animals and others not. On July 1, 2015 Tennessee announced a new law which allows people to break into a car in order to save the life of an animal. The law is an amendment of the pre-existing ‘Good Samaritan’ legislation which now states that a person “shall be immune from civil liability for any damage resulting from the forcible entry of a motor vehicle for the purpose of removing a minor or an animal from the vehicle.” This is great news for the pets of Tennessee, but what about elsewhere in the country? According to Michigan State University research, only 16 states actually provide any specific legal protection for animals being confined in vehicles, with none of the others making any reference to these conditions. That means that in the vast majority of the U.S., pet owners are not legally prevented from leaving their pets locked up in a car on a hot day. As always though, there are other laws which can provide protection for pets, but these are much less clearly defined, making them less effective in alerting people to the dangers, or preventing them from endangering their pets’ lives. The majority of animal cruelty laws would consider that if an animal was purposefully trapped inside a car in extreme life threatening conditions, that this would necessitate animal cruelty. Cases such as Lopez v. The State of Texas are examples of when wider animal cruelty charges have been used to prosecute people for leaving a dog in a hot car. Should We Have to Break the Law to Save a Life? Despite the fact that there are 16 states which specifically protect dogs from being confined to vehicles in extreme conditions, and that the majority of animal cruelty laws, by default, would protect against this kind of treatment, the Tennessee law appears to be the first of its kind to actually protect a passerby from being prosecuted for stepping in to save an animal from this death trap. Surely as caring, considerate and compassionate citizens, we shouldn’t have to break the law in order to save the life of a dying animal trapped inside someone’s vehicle? There is a lot of advice out there from animal rights groups on what to do if you see a dog trapped inside a hot car, but much of it seems totally unrealistic if the timescale for the dog’s life is limited to just a few minutes. To keep the advice in accordance with the law, they suggest things like looking around the area for the car owner, notifying the store if the car is in their car park, then notifying the authorities if that doesn’t work, but by the time a resolution is found or the authorities show up, it might be too late for the poor animal trapped inside the vehicle. It’s time that all laws were brought into line with Tennessee’s ‘Good Samaritan’ law so that passersby have the legal backing to step in and save a life without fear of being prosecuted for criminal damage. Source: Would You Break Into Someone’s Car to Save a Dog? After 18 hours of critical care, including emergency intubation and ventilation for respiratory failure, the dog’s life was saved. She was discharged after three more days in the hospital, and fortunately, she is now back to her normal, happy self. But blue-green algae can form almost anywhere and can be a danger to any unsuspecting pet parent. That’s why K-9 Angels Rescue, Inc. wants to keep you informed about this toxic bacterium. 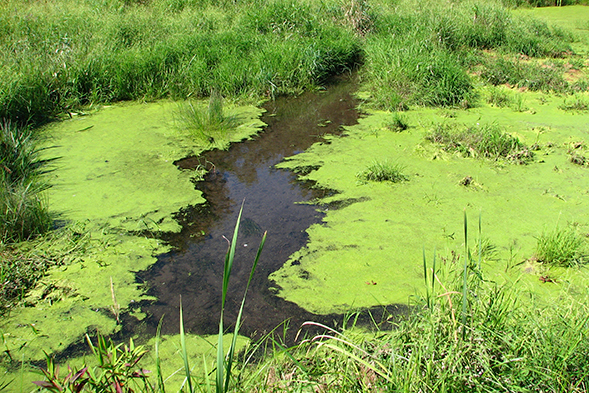 Members of the phylum Cyanobacteria, blue-green algae usually form on or near bodies of water during warm weather months. It is typically found in ponds and lakes, but can also be present in oceans, fresh water, damp soil, backyard fountains and even on rocks. Dogs can develop poisoning when they drink from or swim in contaminated water sources. If consumed, blue-green algae can cause severe neurologic or liver signs. If you think that your pet is ill or may have ingested a poisonous substance, please call your veterinarian or a Poison Control Center (888-426-4435) immediately! 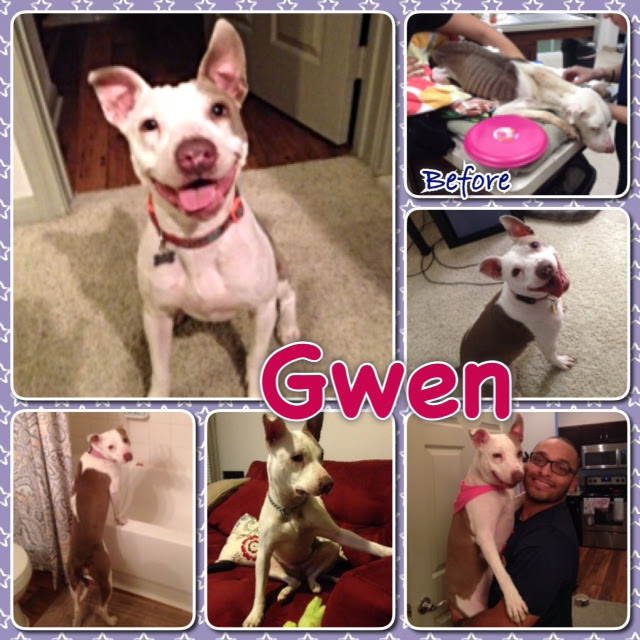 We adopted Gwen back in January and adore her!! Thank you for giving my fiancé and I the best gift ever!! !